Professor Rupert’s daughter has been blinded by some spores while playing with his jewel board game. Suspecting foul play from Sebastian Grenard for stealing back his wife Emma, he must travel the world to confront him and find a cure. Basic game play is simple. 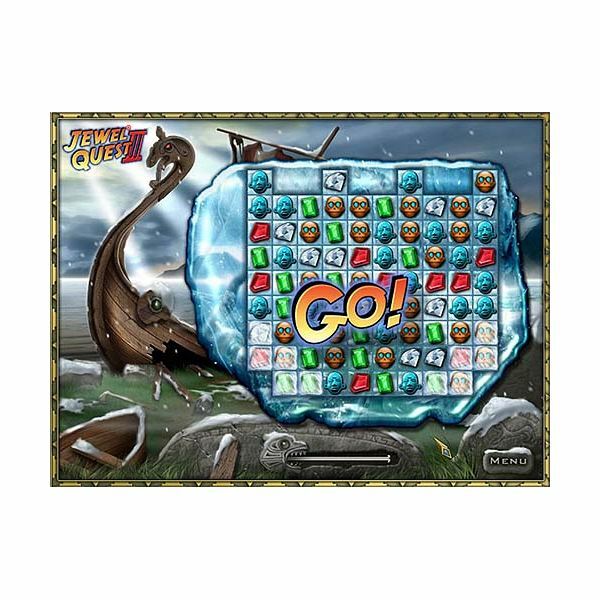 Each timed round will have a game board filled with jewels and other shaped pieces. Points are scored by matching three or more like jewels by swapping two adjacent ones in a horizontal or vertical fashion. This results in turning the background of the tiles into gold. The goal for most rounds is to completely turn all tiles on the board gold. For added challenge, there are other types of pieces that will cause areas of the board to be locked by some kind of barrier. Gold coin pieces must be matched in a row of three to remove a single locked barrier tile. Other types of barriers require the use of other special pieces. Certain sections of the game will have you compete with another player (computerized) for a goal of a specific number of points. These rounds are turn based, and gives each player a chance to make a matched row to create gold tiles. At the end of each round you will see a total all the points and bonuses earned. If you failed, you will need to repeat the round before continuing in the game. 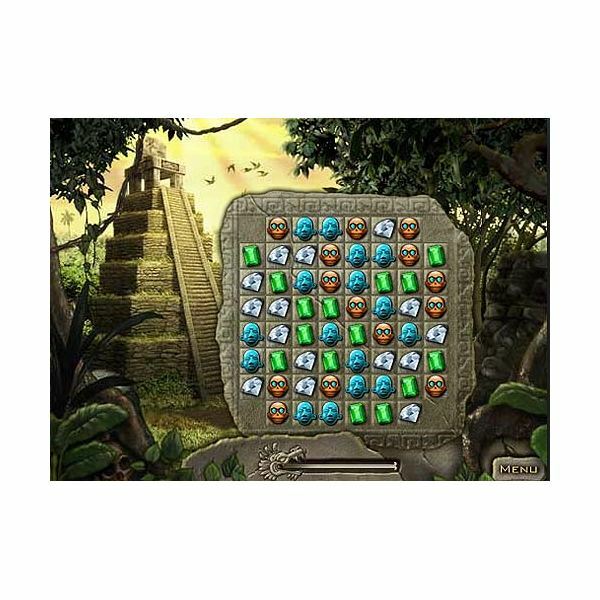 Win Jewel Quest 3 by completing all rounds in every region section of the game. In the turn based rounds, you only score points for creating matches that result in the creation of gold tiles. To win, always try to turn at least one square into a gold tile. Gold coins are limited and are sometimes difficult to match up. Don’t worry if they drop off the board, since new ones will appear at the top. You may need to do several matches to get the coins to drop in the right location. In rounds without crow or monkey pieces, focus first on turning the tiles on the board gold (above any locked pieces). Take care of the locked pieces last. Do the reverse when those pieces are present. To find tiles that are not turned gold, press CNTRL and the left shift button. This will temporarily show the board without the jewels, making it easy to see the gaps. If you create matches from the bottom of the board, more chain reactions will result (and more points). The game will occasionally offer suggested match three moves. However, many times you can find a better one on your own. Look for areas where you can make “T” or “L” shaped matches. If you succeed it will result in earning four or five points. If time runs out before you can finish a board a life will be lost. To clear sections with a single square sticking out in a horizontal manner, only a horizontal match will remove it. A single warming jewel will remove two ice blocks. No match is required to use it. You can slide it to any adjacent location. Monkeys and Angry Crows can turn gold tiles gray if you match them in groups of three or more. Jewel Quest 3 screenshots taken by Sheila Robinson.